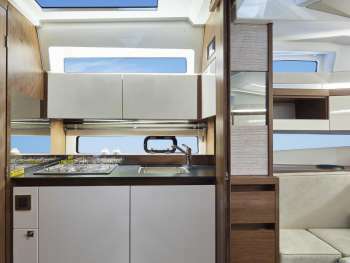 Introducing the Leader 33 OB. 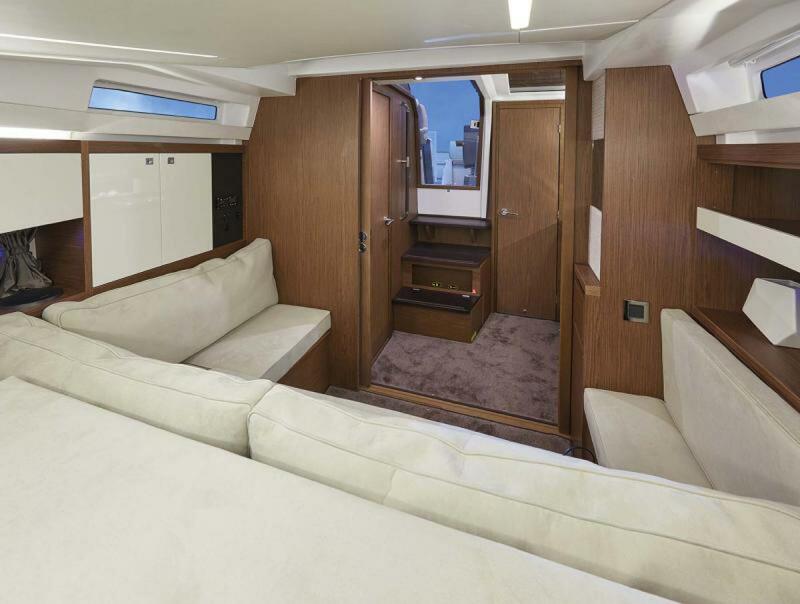 Combining elegance, luxury and performance, the Leader 33 OB stands out, with its distinctive design and sporty character. 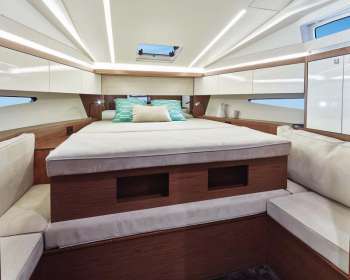 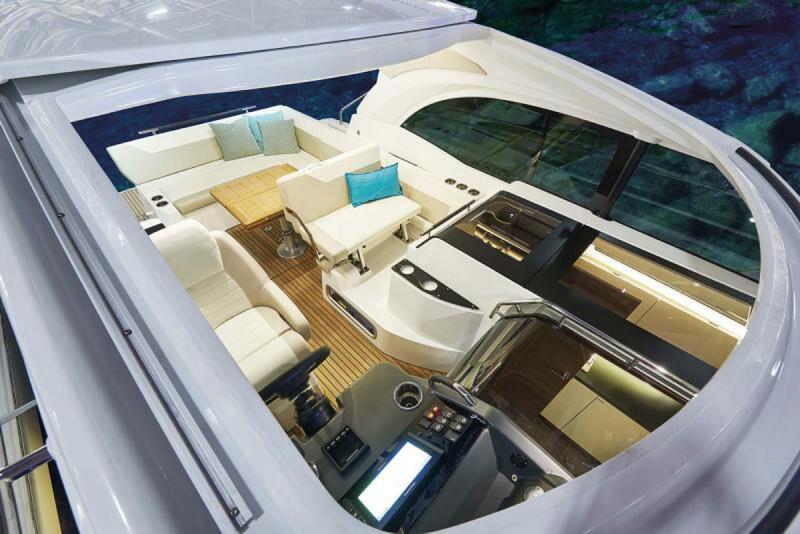 Designed by by Garroni Design, these high-end Express models with high performance hulls combine comfortable exteriors with innovative interior layouts. 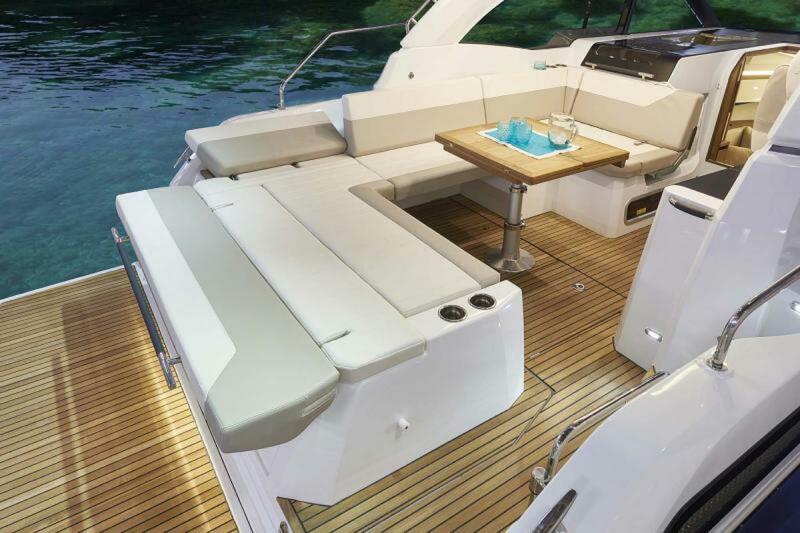 The new outboard power on the Leader 33 OB comes with zero compromise in terms of space, comfort, and fun on the water. The LEADER 33 OB has all the attributes of a Leader 36, in a more compact size! 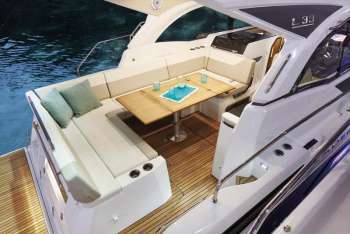 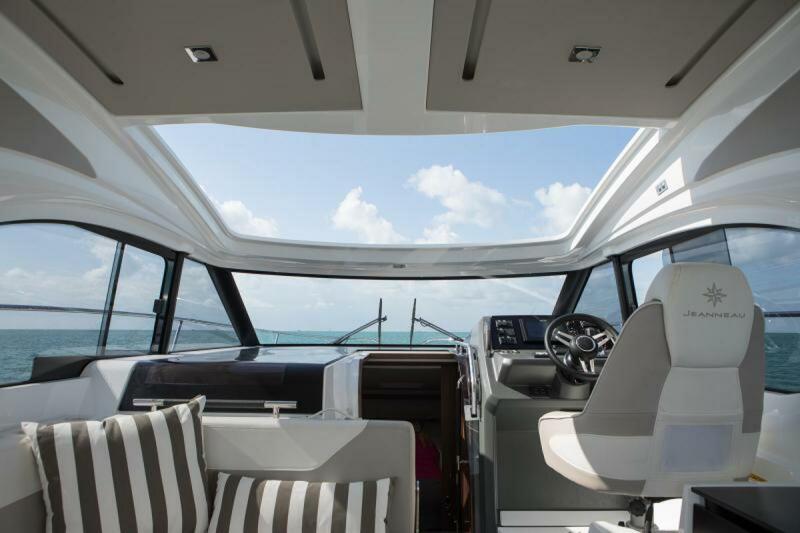 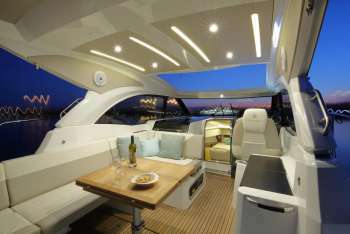 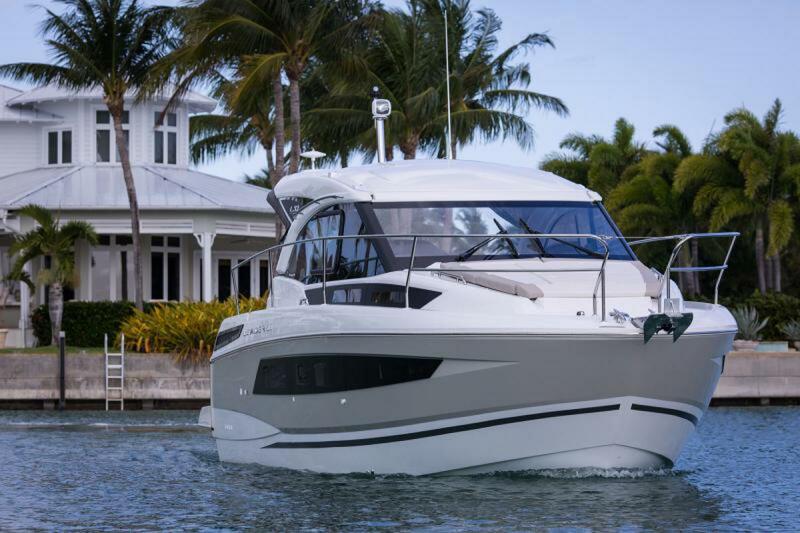 Her sporty look is trendy featuring a hardtop and sleek continuous windows in the hull providing tons of natural light. On the exterior, the cockpit salon offers a generous living space with an electric sunroof bringing the outside in. 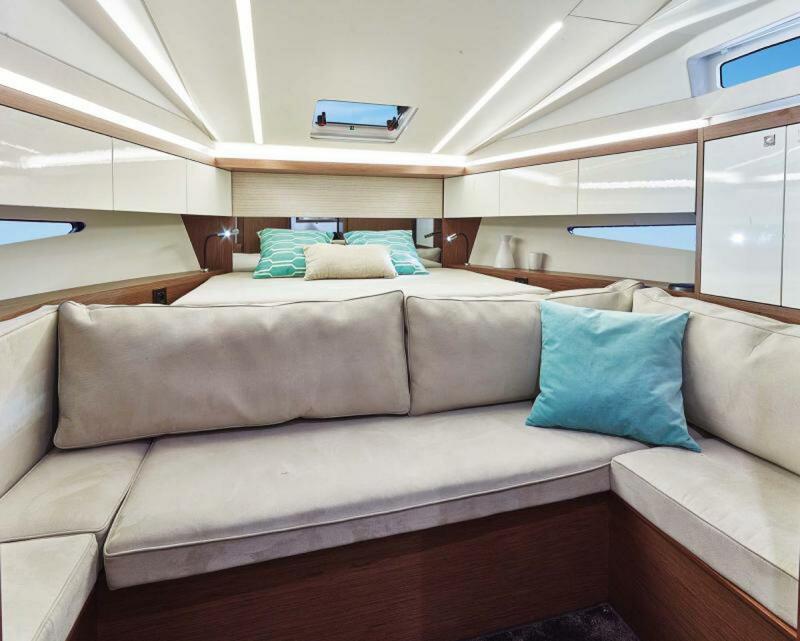 Another area for entertaining is the foredeck lounging area. On the interior, it is stunningly bright. 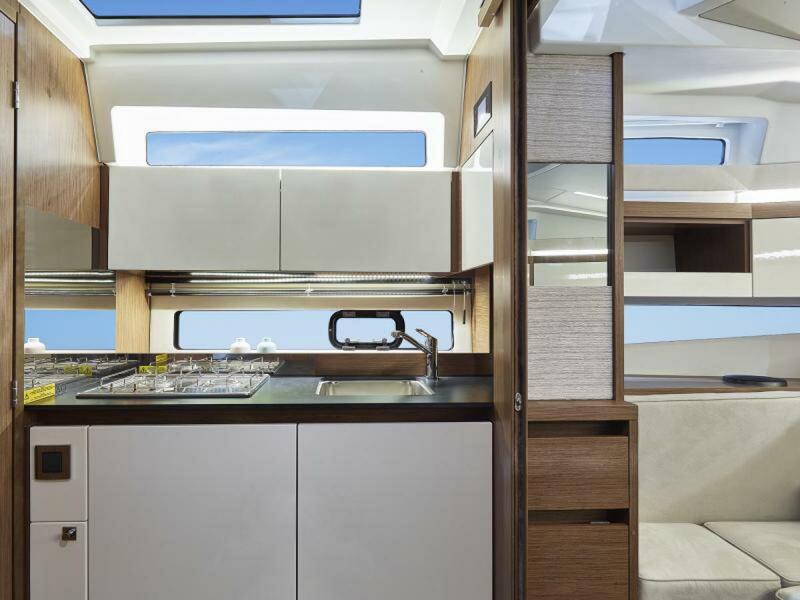 The large salon and galley is open to an impressive view of the sea. For privacy in the forward cabin, a pocket door slides closed and the spacious interior salon can be converted into a quiet independant master stateroom. 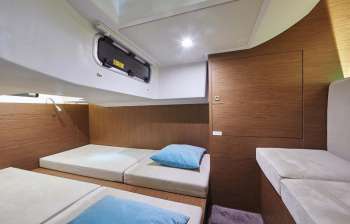 The head compartment also has a separable shower compartment.